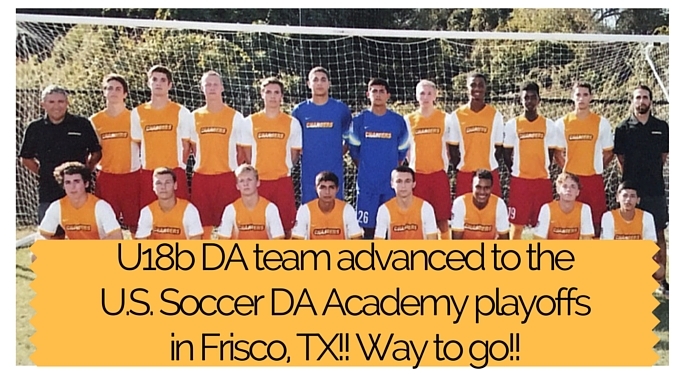 The Chargers SC U.S.Development Academy u17/18 team has advanced to the U.S. Soccer Development Academy playoffs in Frisco,Texas!! The Chargers will have 3 worthy opponents in their group play, as the look to advance into the knockout round. The Chargers SC USDAcademy u13/14 team and u15/16 will also travel to Frisco, Texas at the same time and compete in the summer showcase event!